How do you make your customer ‘little-kid-tasting-ice-cream-for-the-first-time’ happy? 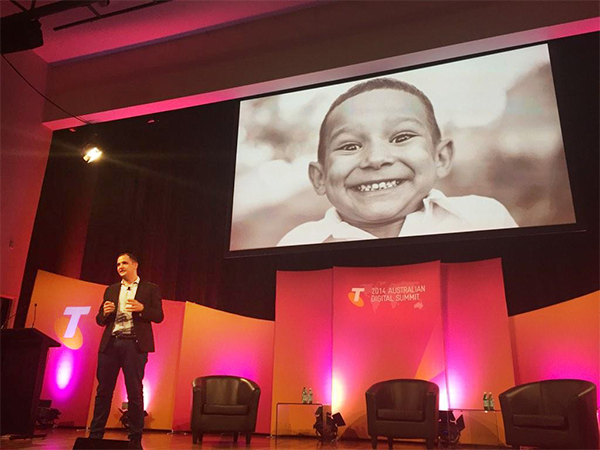 Our CEO Carl recently spoke at the 2014 Australian Digital Summit about the future of retail. In particular, he spoke about the power of brands, the importance of getting the basics right and closing the loop by bringing the two together to give customer’s an exceptional experience. Brands are an integral, intangible part of a business. As a consumer, brands make us feel things about a product - be it aspirational, emotional, nostalgic or otherwise. Brands are what bring people through the doors and the reason why people will be willing to part with their hard-earned money for your product. Every brand is different and there’s no roadmap to creating a successful brand but it is undoubtedly a crucial part of the business. It’s what brings your products and services to life and influences your customers to make a purchase. Just as important as having a brand is the ability to deliver on everything that the brand promises. This means a high level of service, accountability and particularly in online retail; reliable delivery. For retailers, this involves being prepared to change the way that they have been looking at delivery. Recent research by Telstra indicates that a staggering amount of customers are willing to pay extra for more tailored delivery solutions but very few retailers are willing or able to offer them. For such a seemingly basic part of the purchase process, retailers have made very little progress towards changing this themselves. This isn't an indictment on retailers, shipping is a very tricky industry. In the same way that you would approach a creative agency to help shape and build a brand, it’s important that retailers reach out to experienced shipping solutions partners to help them create shipping experiences that match the needs of their customers. You can’t have one without the other. You might have the coolest brand on earth but if your service is lousy then that will be your lasting impression on the customer. Likewise, you could offer the best service in the world but if there is no brand to excite and capture the imagination of the customer then you won’t make sales. Getting both the brand and the basics right and pulling the two together is how you create lasting impressions with your customers.